is to highlight significant characteristisics of women inmates, such as the current rapid rise in incarceration and the history of victimization. Statistics organize experiences in an impersonal way; disconnecting one from empathy. Consequently, I also would like to portray the stories of female prisoners. My visual interpretation of abstract statistics and prisoner narrations consists of stylized curves representing the female form. I then weave graphic bars into the compositions to symbolize numbers and words. The resulting mixed media paintings will not survive the climate of the penitentiary; therefore, the originals will be digitally captured for output on outdoor vinyl (with a life expectancy of 5 years). 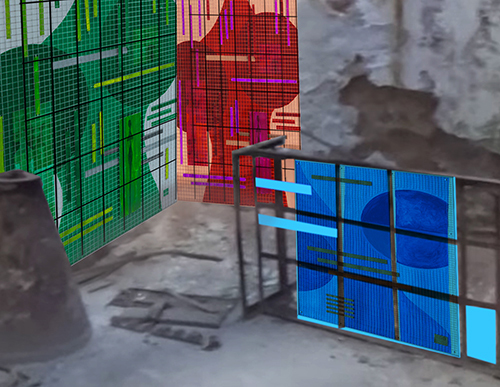 Elements from the penitentiary environment, as allowed, will be incorporated into the works, adding layers of history and associations. 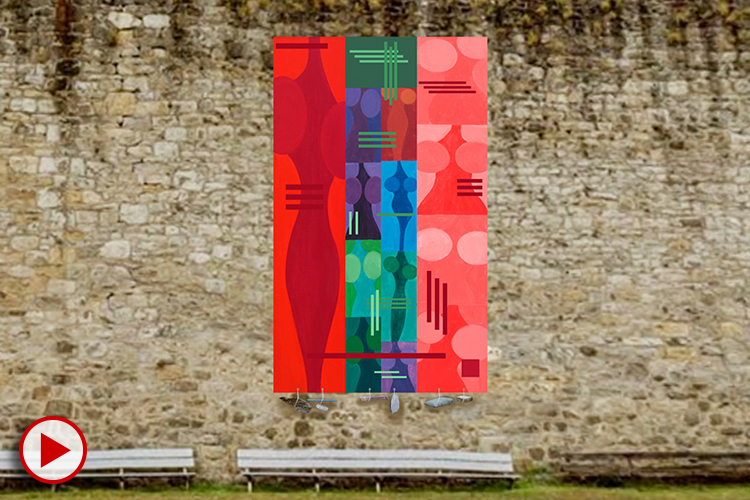 A triptych of large-scale vertical panels (four by twenty feet each) depicts a humanized visual, Herstory: Women Incarcerated, of the quantitative data collected on female prisoners in the U.S.
30-foot tall stone wall perimeter. to function as a weight to hold the panels in place and to integrate elements from the surroundings. Often remaining anonymous, women inmates’ histories are reduced to numbers to form fact sheets. Herstory: Jane Doe(s) is a series of nine stylized painted portraits of women which will be digitized, printed and then sewn onto four-foot tall welded-wire fencing. Woven into the portraits and fencing will be the words of the told and untold stories as represented by graphic bars. 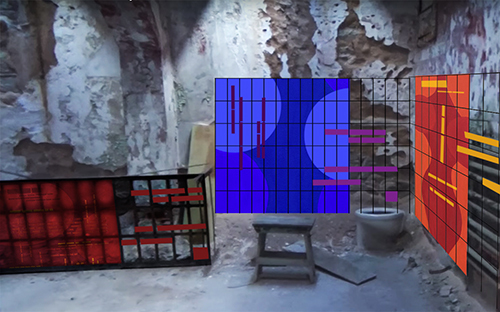 The installation will wrap around the walls of a cell, the former home to numerous convicts. The only interruption to the flow of the fencing will be a bed frame turned on its side to feature the portrait and story of Ethel Johnson, the story which inspired me to propose this installation. In 1922 Ethel Johnson’s unanswered complaints about sexual abuse by a guard resulted in a pregnancy. The stillborn baby was discarded in an adjacent wash house after she delivered it by herself. She was told to stay quiet by fellow inmates experiencing the same abuse, the matron ignored her claims, and her attorneys did not take any form of action.